I’ve known Kelvin for a very long time, and he has consistently approached every project we have worked on together with an abundance of personality insights, strategic visions, and passionate and intelligent leadership skills. When teaching, his ability to personally connect with even large audiences is remarkable. Kelvin has been an invaluable part of my support system. I meditate with him regularly wherever I am working in the world. Kelvin is a kind and caring teacher, and a wonderful human being. Meditation is the cure for a fearful and overly busy mind. I met Kelvin three years ago after my mom passed away. I had always been terrified by the thought of death and the idea of not existing. The fear often consumed me and I did all I could to simply not think of it. I searched the internet regularly for advice and help conquering this fear. That is when I found Kel and decided to give his form of meditation a try. Meditation teaches you how to live in the moment and to stop worrying about the future naturally. We can not control our thoughts...no one can. Meditation slows our busy minds down and allows us to truly be present in the moment, which unfortunately doesn’t happen naturally for most people. For me this practice absolutely took the fear of death and a lot of other future related fears I didn’t even acknowledge away without any focus or additional effort from me. I realized one day not too long ago that my fear was completely gone. It didn’t happen instantly but it happened and I’m not even sure when exactly. I am more calm and happier than ever and I just don’t care about what I cannot understand anymore. I was such a slave to that fear that I can’t even believe I’m writing this now. Learning to live in the moment is the true secret to lasting happiness in my opinion. Kel is an awesome human being and a true gift to others. I couldn’t recommend him and his practice more. Thank you, Kel. My native language as you know is Español and my 2nd language is English — I hope I spelled everything ok. The book “Overcoming the Fear of Death” by Kelvin Chin and his Meditation technique is helping me in a way I never thought was possible. So simple yet so profound is the book and the meditation technique that is helping me change and accept my reality as human being, as difficult as it may be. I never thought something so undemanding would help me, and as painful as it may be with many difficult circumstances I am going through (I have had several NDE’s, Near-Death Experiences), I am finding the faith to accept one day at a time — the reality this has shown me in my life. Thank you Kelvin. I, very recently, learned to meditate with Kelvin. I have to say that it has honestly, positively, changed my life. I have always been afraid of dying, but after losing my son six yrs. ago... in a horrible accident, my fears increased. I reached out to Kel for help. I am so happy I did. Not only did my anxiety about death decrease dramatically, but all of my other anxieties have decreased as well. It was interfering with my desire to get out there and live! I was bound by my thoughts. It was awful. Not anymore. I am me again! I feel as if I have been “set free” from that weight on my shoulders, and those thoughts in my head. Also, my grief over my son has gotten...for lack of a better word...lighter. I’ll always miss my child, and the pain will always be there, but I know it won’t be as difficult anymore. Just knowing that I can handle it now, is an amazing feeling. Meditation helps me get my grief OUT. I could never just let go, and cry very much. I have done that now, and I feel so much better. I have learned, through meditation, how to “let go” of the negative things, and concentrate on the good. After six years of absolute torment (in my mind), I no longer feel like I have to live that way. I know I don’t!! Now, THAT...for me, is nothing short of a miracle. Kelvin is one of the most genuine, and kindest souls I have ever known. He really cares about all of us. He wants to help us all LIVE life to the fullest. We waste so much of our time on negativity. Kel teaches us how to get rid of that junk. To be happy, to live in the “here and now.” We don’t have to stay in the place that causes us to feel down all the time, we can be happy in this life. If I can use this wonderful tool, and reap the benefits, anyone can. I was the biggest skeptic ever! If you haven’t reached out to Kelvin, and you are having problems in life...if you’re hurting, have anxieties, or just want to feel better, try it!! I know that you won’t be disappointed. I’m now hooked on Kel’s amazing meditation technique, and I’m loving it!! Thank you Kel. So very much. and would recommend him highly. I can now dream big only because of your guidance. I am indebt to you. Thanks once again. 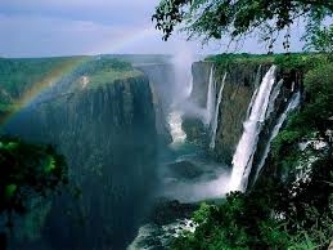 Make some time to visit Bangladesh. I will be overwhelmed if you can make some time to visit my house. I love hearing all of Kelvin’s lectures and meditation sessions. He explains himself in a very methodical, rational way that is very unique and pleasant to hear. I look forward to every session he comes with and I’m glad I came across his book on Amazon, “Overcoming the Fear of Death.” It was the only book I came across that wasn’t just doom and gloom. I also found his Turning Within Technique very helpful and peaceful for the mind. As emotional, rather than logical creatures that we are, the mind needs this to reset itself everyday in order to optimize everyday performance. His technique is a much needed optimizer that everyone should have to significantly improve the quality of his or her life to enjoy it to its fullest. Kelvin and I had a discussion about some of my psychic experiences and afterwards I felt like an enormous weight was lifted off my shoulders. Good evening, Kel! I wanted to update you on how I’m doing. So the meditation is going great, my anxiety surrounding everything in my life has lessened even my existential dread and fear has improved significantly and I feel more at peace with myself and what the future holds. Concerning the fear of death specifically, the meditation has helped and I am facing it with less fear and more bravery than I ever had before and the feeling is nothing short of liberating. In combination of the meditation and conquering fear, this has helped me in other ways as well. I am doing better in my college work, my confidence, my job, my relationships, everything. I feel like a new person. The meditation is effortless and feels natural I have never had so much success in a technique. Thank you for all of your guidance and teachings! I’m 72 years old, had a successful career as a businessman, and raised a great son, but I have had a fear of death that has ruined my life. I thought I’d tried everything — until I found Kelvin through his website. I have now started getting my life back, and I’m now feeling more peaceful and relaxed. I have not felt this good since I was in my 20’s. I’ve noticed I have much, much less fear of dying and most of the time I don’t even think about it. And I sleep much better now. Here’s my advice — Don’t wait till you’re my age, contact Kelvin while you are still young and have your whole life ahead of you. I just finished your first book. I am an academic editor specializing in philosophy and religion, and I have degrees in both fields. But your book has a raw emotional sincerity and power that is almost impossible to find in the scholarly world. It helped me find some hope that I will encounter my husband, best friend, and soulmate again, now gone for nearly four years. He is still the center of my life, and I talk to him every day. Personal connection is rare even in so-called real in-person not virtual society and nonexistent in the hucksterish self-help universe. I am looking forward to reading your next book. Thank you. “Kel's ‘live’ video series was one of the best I've done. It was so detailed and informative and it was so refreshing that the listeners were able to participate in the calls to ask questions or share their own stories. I really resonate with Kel for his pragmatic and down-to-earth personality and I highly recommend anyone that is interested in topics related to the afterlife join this conference. I grew up in a very strict Christian home and heard thousands of hours of hell-fire and brimstone style preaching growing up. Many nights I’d lie in bed terrified of what would happen when I died and met this angry God in the sky. If I “died in my sin” or with a “rebellious heart” I’d be doomed to an eternity in hell. This caused a lot of nightmares and sleepless nights to say the least. I ditched my religion after a year or two in college, but the fear of death, God and Hell has stuck with me, even into my mid-thirties. I just haven’t been able to ever shake it completely. When life is good, and I’m calm and thinking rationally, I realize the idea of an eternal hell is ridiculous. But if I’m having a bad day, feel depressed or anxious, or sick, sometimes those old fears rear their ugly heads, and it is very unpleasant. I got the chance to meet Kelvin and speak with him on several occasions. He is one of the nicest, smartest and caring guys you could ever meet. He was genuinely concerned about what I was going through, and not just trying to sell me a book or a seminar or whatever. The information he shared with me, which was reinforced reading his book, has helped me tremendously to just say “Forget about it!! !” whenever the fear of death starts to creep in. I don’t let myself dwell on it anymore. The fear of death is irrational and robs us of enjoying the present moment. The energy wasted on fear is better spent on doing positive things with your life, spending time with family and friends, building relationships, and having fun, come what may. His book attacks the illogical fear of death from many different angles, not just religious. Whether you’re afraid of something bad happening to you after you die, or ceasing to exist forever, or the actual process of dying itself, this book deals with it all and is sure to help you in some way. I was honestly at the end of my rope when I reached out to Kelvin. The fear of death was ruining my life, but after 2 decades of struggling with this fear, and reading on the subject, listening to YouTube videos, talking to a therapist, I was starting to think there was no hope for me. Nothing worked! But I was wrong. There is help and there is hope. I’m very grateful for Kelvin and the work he does. It has changed my life and made me more optimistic about the future. My attitude about death now is that whatever happens, I’ll be able to handle it :) The relief I’ve felt has been nothing short of a miracle. 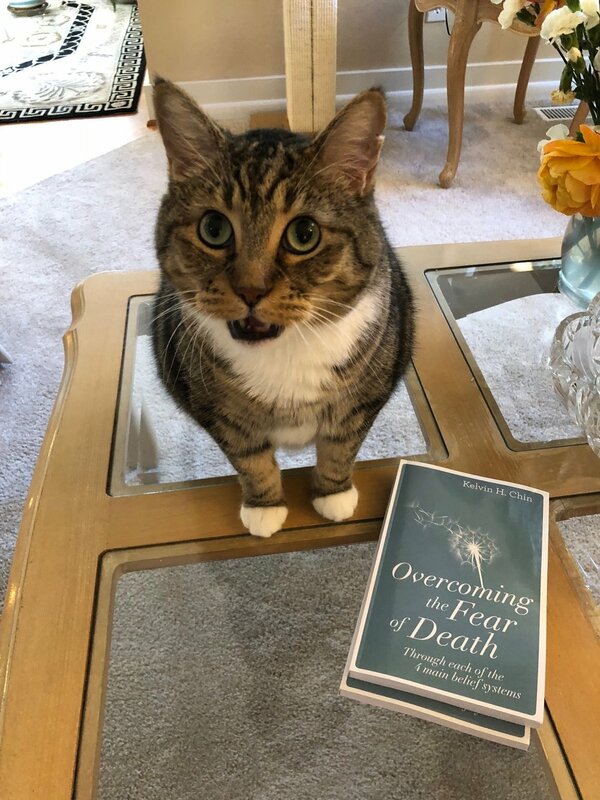 After my mother died in January of 2017, I read “Overcoming the Fear of Death” written by Kelvin and found it to be very helpful in navigating my way thru a difficult time. Since I am now almost 71 years old, I guess it just goes to show that we are never really ready for the loss of a parent who was so instrumental in the path that our life has taken. I also found a common bond with Kelvin since both of our fathers served in the Pacific theatre during WWII. In his book, Kelvin recommends the “Turning Within” meditation program as another source for dealing with grief as well as numerous other benefits. I signed up, met Kelvin, took the course & have been very pleased with the results. Utilizing his method, I have been meditating twice each day for several months now. I am sleeping better, have lower blood pressure & am really enjoying every day that I have here on earth to the fullest. I think that it works somewhat like physical exercise in that the daily gains may be very small, but you can really tell the difference after several months. I have taken advantage of several free followup opportunities and intend to continue doing so in the future. Kelvin has been readily available & seems to be good at keeping up with his meditation students. I highly recommend the program. I cried. I never cry. But I cried with both joy and relief after Kel was able to deliver a message to me from my brother who took his own life 16 years ago. The next day I awoke happy for the first time in a very long time because I knew that my brother was at peace. Receiving a message like this has never happened to me before. Kel helped me process and understand my brother’s message ending the long years of pain. I loved reading your book. Your book got me thinking about what I believe in, and while I don’t actually know, I hope there is more to life (well, death really) than just this physical life. I am so thankful to you and your book for encouraging me to explore my beliefs a bit more. I met with a woman recently who is helping me with some emotional cleansing from something that happened to me when I was a little girl (my nan died which is what started my fear of death!). I wanted to email you to let you know what a tremendous help your “Turning Within” Meditation classes have been to me. I notice a significant decrease in anxiety feelings and a sense of calm after meditating. Also, your support and knowledge has helped me process my fears about death and I feel better about them as well. Thank you so much for this and I will be in touch!!!!! My father recently transitioned into his life after life and...it’s been pretty damn awful. I’m human and the reality of him not walking on this earth is devastating. I took your talk being offered in my neighborhood as a sign, and sitting down where I could see the one palm tree in the neighborhood as a sign (my father planted a palm tree in our yard...we grew up in a small Texas town, i.e., a cattle town, not a tropical paradise). I took you speaking of the Greek philosophy of virtue as a sign - the evening before your talk I saw a shirt that had Shakespeare’s words “to thine own self be true...” - I broke down in the middle of the store because I knew I would have to dig deep to heal. Apologies for bookin’ it as soon as you finished - I was fighting a wave of deep sadness and just made it to my car. I appreciate the work you do for people. It is of great value. One of the most interesting takeaways from Kelvin’s discussion is that it’s possible to avoid fearing death regardless of your present belief system about it, and independent of your spiritual background (or lack thereof). I think the conversation he presents invites many others, all of which are very worthy of exploring. I found Kelvin’s talk about Overcoming the Fear of Death to be very moving. He approached the matter from a very unbiased perspective in which individuals of different belief systems could collectively take part in an engaging discussion. By addressing concepts such as the fear of punishment in the afterlife, Kelvin effectively and methodically confronted many of the fears related to death and dying that are common to mankind. I have heard Kelvin speak many times over the past 20 years. He is an amazing speaker, not merely because he can explain difficult issues in a clear, interesting, sometimes humorous way, but mainly because he has a gift of connecting with each member of the audience in a way that is unique to each of them. This enables Kel to “touch” the listener at a very deep level, so the information gets absorbed and understood...not just intellectually but also at deep emotional levels. He is able to take very complex and sometimes controversial subjects and crystalize them with sensitivity to cross cultural issues and human nature. He is also able to weave philosophy and science, into a personal narrative in a way that is entertaining while also educational. I give Mr. Kelvin Chin my highest recommendation. Kelvin addresses a topic that informs so much of our behavior. Bringing the fear of death to light allows us to learn, release and grow. We can only be better, more realized humans because of this. It was because of your soothing touch that I was able to enjoy Sterling (my baby boy kitty) for another 10 days as your touch brought his mind and paralyzed legs back to life after his stroke. It allowed us more time to get the closure we needed. It meant the world to us. When he let me know he was ready to go, I accepted it. And when Sterling visited you after he died, it gave me an extra level of comfort and relief.